...but the odds are they are still the best-known, ironically, due to television! 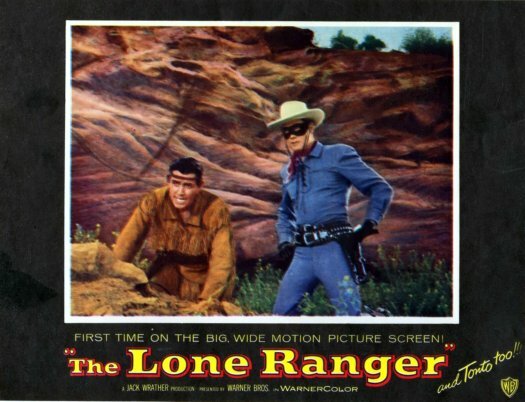 They're Clayton Moore and Jay Silverheels. And to several generations of fans, they personified the Masked Man and His Indian Companion! From 1949 to 1957*, they rode across the tv screens of America dispensing justice in the Old West. When, in 1955 it was decided to begin shooting the b/w series in color (anticipating then-new color tvs would eventually dominate the market) , the producers decided to absorb the cost of acquiring color film cameras, reshooting stock footage, and redoing costumes by doing a theatrical feature, then shooting the remaining tv episodes. We presented the comic adaptation of the movie in a historic multi-blog post HERE, HERE, HERE, HERE, HERE, and HERE. Unfortunately, there's no clip available of Tonto's historic fight on YouTube. 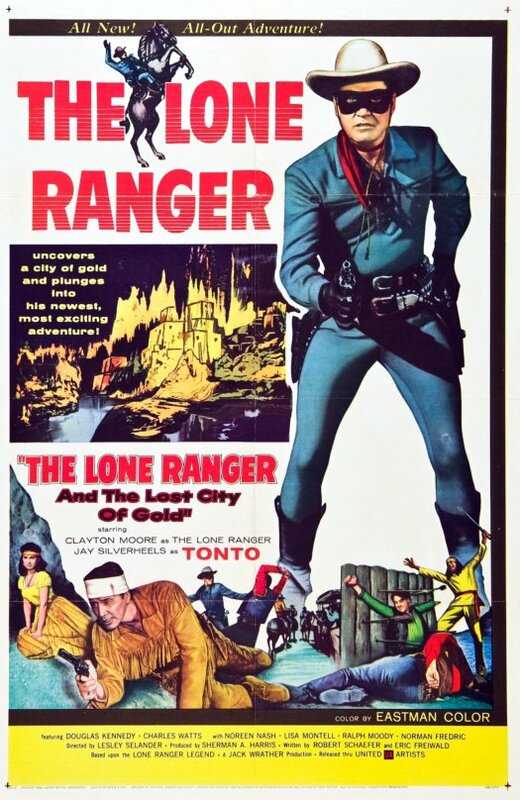 But that was not the last time a live-action Lone Ranger would grace the silver screen before the recent film. And for more Dynamic Duos in Classic Film click HERE! 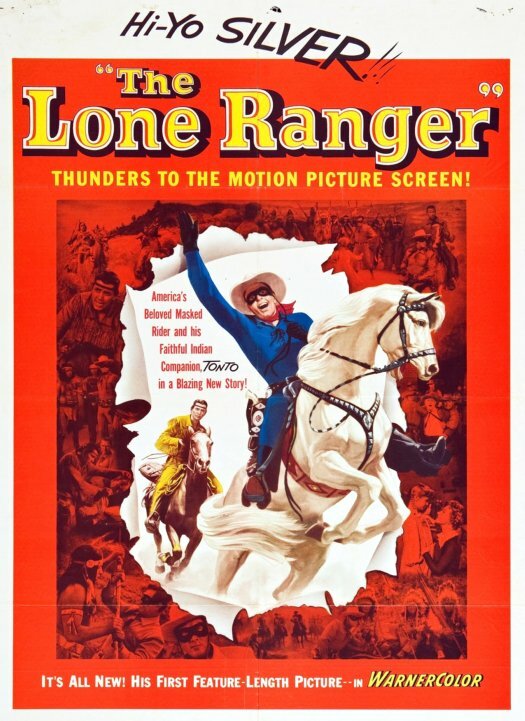 *From 1952 to 1954, Clayton Moore was replaced by John Hart. Enjoyed your very thorough post -- very interesting stuff! Captain's Library: ATARI FORCE "Final Approach"
Captain's Library: ATARI FORCE "Deadly Orbit"